Avantasias newest record, THE MYSTERY OF TIME. Features Bill Byford (Saxon), Eric Martin (Mr. Big), Michael Kiske (ex-Helloween, Unisonic), Bruce Kulick (ex-Kiss, ex-Meatloaf), Ronnie Atkins (Pretty Maids), Arjen Lucassen (Ayreon, ex-Vengeance) and legendary former Deep Purple, Rainbow and Yngwie Malmsteen vocalist Joe Lynn Turner. 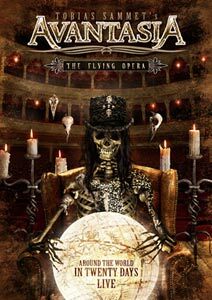 THE MYSTERY OF TIME is contemporary, rock opera masterpiece!